1. Gagner M, Lacroix A, Bolte E. Laparoscopic adrenalectomy in Cushing's syndrome and pheochro-mocytoma. N Engl J Med 1992; 327:1033. 2. Walther MM, Keiser HR, Linehan WM. Pheochromocytoma: evaluation, diagnosis, and treatment. World J Urol 1999; 17:35-39. 3. Goldfarb DA. Contemporary evaluation and management of Cushing's syndrome. World J Urol 1999; 17:22-25. 4. Blumenfeld JD, Vaughan ED Jr. Diagnosis and treatment of primary aldosteronism. World J Urol 1999; 17:15-21. 5. Murai M, Baba S, Nakashima J, et al. Management of incidentally discovered adrenal masses. World J Urol 1999; 17:9-14. 6. Belldegrun A, Hussain S, Seltzer S, et al. Incidentally discovered mass of the adrenal gland. Surg Gynecol Obstet 1986; 163:203-208. 7. Cerfolio RJ, Vaughan ED Jr., Brennan TG Jr., et al. Accuracy of computed tomography in predicting adrenal tumor size. Surg Gynecol Obstet 1993; 176:307-309. 8. Schulick RD, Brenna MF. Adrenocortical carcinoma. World J Urol 1999; 17:26-34. 9. Vaughan ED Jr. Surgical options for open adrenalectomy. World J Urol 1999; 17:40-47. 10. Teeger S, Papanicolaou N, Vaughan ED Jr. Current concepts in imaging of adrenal masses. World J Urol 1999; 17:3-8. 11. Ferriss JB, Beevers DG, Brown JJ, et al. Clinical, biochemical and pathological features of low-renin ("primary") hyperaldosteronism. Am Heart J 1978; 95:375-388. 12. deGasparo M, Whitebread SE, Preiswerk G, et al. Antialdosterones: Incidence and prevention of sexual side effects. J Steroid Biochem 1989; 32(1B):223-227. 13. Blumenfeld JD, Sealey JE, Schlussel Y, et al. Diagnosis and treatment of primary aldosteronism. Ann Intern Med 1994; 121:877-885. 14. Edwin B, Kazaryan AM, Mala T, et al. Laparoscopic and open surgery for pheochromocytoma. BMC Surg 2001; 1:2. 15. Salomon L, Rabii R, Soulie M, et al. Experience with retroperitoneal laparoscopic adrenalectomy for pheochromocytoma. J Urol 2001; 165:1871-1874. 16. Gotoh M, Ono Y, Hattori R, et al. Laparoscopic adrenalectomy for pheochromocytoma: morbidity compared with adrenalectomy for tumors of other pathology. J Endourol 2002; 16:245-249. 17. Prager G, Heinz-Peer G, Passler C, et al. Applicability of laparoscopic adrenalectomy in a prospective study in 150 consecutive patients. Arch Surg 2004; 139:46-49. 18. MacGillivray DC, Whalen GF, Malchoff CD, et al. Laparoscopic resection of large adrenal tumors. Ann Surg Oncol 2002; 9:480-485. 19. Valeri A, Borrelli A, Presenti L, et al. The influence of new technologies on laparoscopic adrenalectomy. Surg Endosc 2002; 16:1274-1279. 20. Kebebew E, Siperstein AE, Duh QY. Laparoscopic adrenalectomy: the optimal surgical approach. J Laparoendosc Adv Surg Tech A2001; 11:409-413. 21. Lezoche E, Guerrieri M, Feliciotti F, et al. 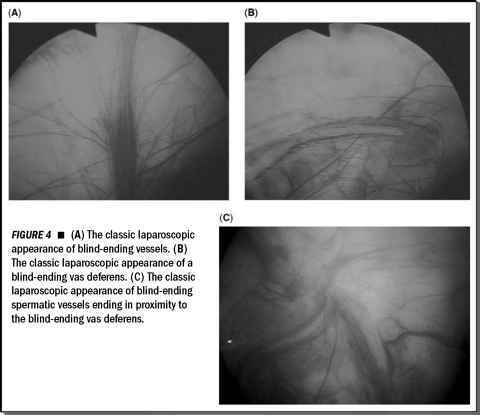 Anterior, lateral, and posterior retroperitoneal approaches in endoscopic adrenalectomy. Surg Endosc 2002; 16:96-99. 22. Salomon L, Soulie M, Mouly P, et al. Experience with retroperitoneal laparoscopic adrenalectomy in 115 procedures. J Urol 2001; 166:38-41. 23. Guazzoni G, Cestari A, Montorsi F, et al. Eight-year experience with transperitoneal laparoscopic adrenal surgery. J Urol 2001; 166:820-824. 24. Suzuki K, Kageyama S, Hirano Y, et al. Comparison of 3 surgical approaches to laparoscopic adrenalectomy: a nonrandomized, background matched analysis. J Urol 2001; 166:437-443. 25. Soulie M, Mouly P, Caron P, et al. Retroperitoneal laparoscopic adrenalectomy: clinical experience in 52 procedures. Urology 2000; 56:921-925. 26. Mancini F, Mutter D, Peix JL, et al. Experience with adrenalectomy in 1997. Apropros of 247 cases: a multicenter prospective study of the French-speaking Association of Endocrine Surgery. Chirurgie 1999; 124:368-374. 27. Shichman SJ, Herndon CD, Sosa RE, et al. Lateral transperitoneal laparoscopic adrenalectomy. World J Urol 1999; 17:48-53. 28. Winfield HN, Hamilton BD, Bravo EL, et al. Laparoscopic adrenalectomy: the preferred choice? A comparison to open adrenalectomy. J Urol 1998; 160:325-329. 29. Yoshimura K, Yoshioka T, Miyake O, et al. Comparison of clinical outcomes of laparoscopic and conventional open adrenalectomy. J Endourol 1998; 12:555-559. 30. Chee C, Ravinthiran T, Cheng C. Laparoscopic adrenalectomy: experience with transabdominal and retroperitoneal approaches. Urology 1998; 51:29-32. 31. Gagner M, Pomp A, Heniford BT, et al. Laparoscopic adrenalectomy: lessons learned from 100 consecutive procedures. Ann Surg 1997; 226:238-246. 32. Gasman D, Droupy S, Koutani A, et al. Laparoscopic adrenalectomy: the retroperitoneal approach. J Urol 1998; 159:1816-1820. 33. Terachi T, Matsuda T, Terai A, et al. Transperitoneal laparoscopic adrenalectomy: experience in 100 patients. J Endourol 1997; 11:361-365. 34. Rutherford JC, Stowasser M, Tunny TJ, et al. Laparoscopic adrenalectomy. World J Surg 1996; 20:758-760. 35. Schell SR, Talamimi MA, Udelsman R. Laparoscopic adrenalectomy for nonmalignant disease: improved safety, morbidity, and cost-effectiveness. Surg Endosc 1999; 13:30-34. 36. Vargas HI, Kavoussi LR, Bartlett DL, et al. Laparoscopic adrenalectomy: a new standard of care. Urology 1997; 49:673-678. 37. Bolli M, Oertli D, Staub J, et al. Laparoscopic adrenalectomy: the new standard? Swiss Med Wkly 2002; 132:12-16. 38. Hazzan D, Shiloni E, Golijanin D, et al. Laparoscopic vs open adrenalectomy for benign adrenal neoplasm. Surg Endosc 2001; 15:1356-1358. 39. MacGillivray DC, Schichman SJ, Ferrer FA, et al. A comparison of open vs laparoscopic adrenalectomy. Surg Endosc 1996; 10:987-990. 40. Miccoli P, Raffaelli M, Berti P, et al. Adrenal surgery before and after the introduction of laparo-scopic adrenalectomy. Br J Surg 2002; 89:779-782. 41. Ortega J, Sala C, Garcia S, et al. Cost-effectiveness of laparoscopic vs open adrenalectomy: small savings in an expensive process. J Laparoendosc Adv Surg Tech A 2002; 12:1-5.